1978 was a long time ago. 40 years, to be exact. 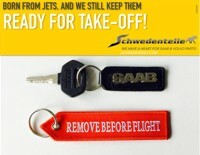 But then Saab made a name for itself with a little innovation that is common knowledge today. If you ask yourself how you could survive as a small manufacturer for so long, then you will find an answer in the many larger or smaller ideas. As an example, the automatic seat heating would be. Or as simple things as an inner handle to close the tailgate or an interior air filter. 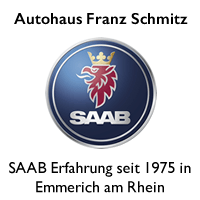 The particle-tight interior air filter introduced Saab already in the year 1978. The Swedes described themselves as the first manufacturer who installed an air filter against pollen, soot and particulate matter for the interior as standard in a family sedan. An 40 anniversary that almost passed us by. Air filters for the interiors are standard today. And, in the course of the discussion on emissions, a current topic even 40 years later. How clean is the air in a Saab 9-3? 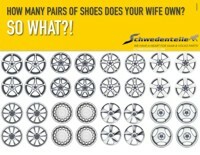 An important question that we investigated. The topic comes in detail in the next few days on the blog. People working in the auto industry are said to have gasoline in their blood. That may almost always be true. In the case of Orio Germany boss Jan-Philipp Schuhmacher it is true. Unfortunately, Orio does not have its own tradition or rally department - but with Team Wagenheimer a kind of unofficial German factory team. 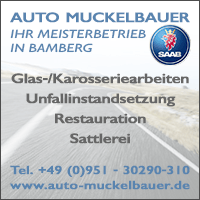 Meanwhile, the rally virus has jumped in the Wagenheimers in the next generation, therefore, you can find more often with two Saabs at events. The 10 Lakes Classic Rally At the end of the season Robert Wagenheimer competed with co-driver Jan-Philipp Schuhmacher in the 96, Victoria Wagenheimer and Konstantin Friedrichs piloted the 99. The result for 135 participants was impressive. The team in 96 took place 8 of the ranking, the 99 drove ahead to rank 48. 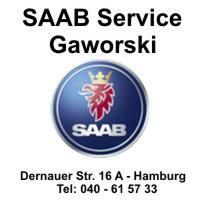 There are not many Saab 9-5 NG sportswear in the world. Only 27, to be exact, but these cars are amazing. 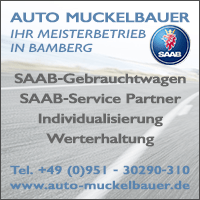 at Saab surname A 9-5 NG Kombi Linear TTID4 has been available for sale for several days now. Worldwide the only station wagon in Laserrot and a pre-series car. He has, and that is the astonishing, already 203.000 kilometers are on the clock. 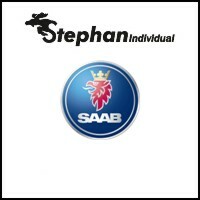 I still remember the nervousness at Saab when I was handed the keys to a 2011-9 NG sports suit in autumn 5. Be careful, pre-production, handmade, delicate, not mature. Are you kidding me? Are you serious when you say that. 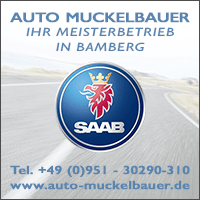 The Saab at Suchomel stands for the opposite. A lot of Saab pre-series in October 2011 in Trollhättan. The other amazing thing is the price. 64.000 € introduces the owner. What seems expensive and where one or the other reader might be prone to cardiac arrhythmias. 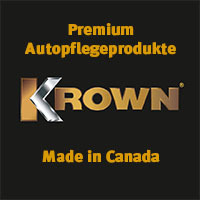 Because "new", and with 200.000 kilometers less, at the KVD auction, the 9-5 was much cheaper. But it is a Saab. One of only 27 and maybe the dream of one or the other reader. And what is money? Only printed paper, totally overrated. Pictures of the station wagon are available 9-5sc2012.com. 7 thoughts too "An 40 anniversary, a man, a car." Cool that this rare gem (the NG SC) of the automotive industry has already shown good 200.000 Km flag, instead of being preserved in an air-conditioned "locker" and UV-protected to await its own appreciation. 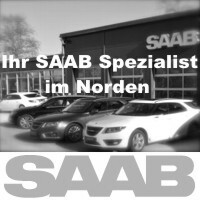 This is a real SAAB spirit. And what would it have been to not drive him? Maybe 20-25.000 € more? So much loss of value sets mass produced in the course of the unwound kilometers on the floor. Despite intensive use, there is even an increase in value here. 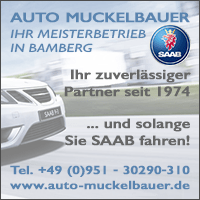 SAAB-driving for free. And what a. Just awesome. Also very cool. So much commitment and enthusiasm make you wonder and hope. Since the spare parts supply is probably in very committed hands. Recently, the air conditioning for a 9000 and the compressor of sands here were the subject. I would imagine that in the course of the bankruptcy, one or the other suppliers (such as Sanden) has been forced to search for new and own distribution channels. That it is not so easy for Orio to offer a complete range of new and (exclusive?) Contracts and distributors? SAAB Spirit is apparently present. OK then! It remains only: Let us all take good care of our treasures and cherish and care for them !! I have the impression that the 9-5 NG station wagons are getting more and more expensive. Good investment, what a return! 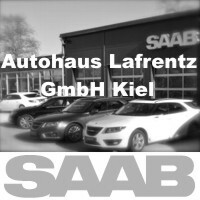 What I've noticed here, as well as recently with the special US 9-5: A sales policy that probably works only at Saab: We are talking about vehicles that were partly unique in their delivery state, sometimes not intended in regular sales. But what are the owners doing? Since wild parts are exchanged, on other equipment levels "upgraded" etc. I think in other brands that would be a point for a significant depreciation. I can imagine myself painting a hat for the lady on the Picasso portrait ... because I like it better. 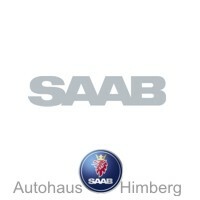 Not that I disapprove of that in relation to the Saab, it just amazes me. The 9-5NG Combis are a dream, was allowed to see the black and red live several times. PS: When I was excited about the 9-5 NG SC, I forgot to thank Tom for the very interesting info on the Saab innovations and the pioneering and thought-leadership in so many technical innovations! 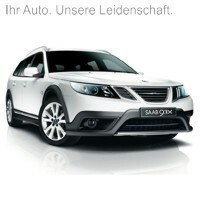 That Saab before 40 years, for example, had cabin filters, I was not known and is very impressive. I remember that in the 80ers or 90ers there was an investigation into which road users are the most polluted by exhaust fumes - pedestrians, cyclists or (perhaps not) those drivers who are warm and dry behind the wheel? 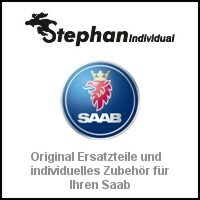 I was (after obtaining the license from the middle of the 80er to my first Saab 2003) at the time a daft VW brand loyalty and quite appalled by the result, as I exposed in my - of course, filter-free - Polos and Golfs (new cars!) The highest emissions was!